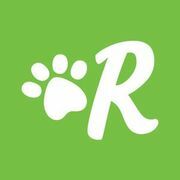 Rate and review Rover.com - Las Vegas Dog Walking in Las Vegas, NV, United States! Share your experiences at Rover.com - Las Vegas Dog Walking with your friends or discover more Pet Sitters and Boarding in Las Vegas, NV, United States. ★★★★★ It was nothing short of amzing. We will never put our furkids in a kennel again! They loved Randy. We knew within a minute our dogs would be in great hands. Great service! !